I’m Pakkie Davie, digital artist and fantasy novelist. My current work style are Fantasy, Semi-realism, Traditional arts. Moreover, I’m doing comic, character design for Japanese card games, and novel covers for commercial uses. Many people ask me for tutorial, artbooks, and new game project. However, due to my job, I’m not affordable to do those requests, so I decided to CREATE my Patron page for everyone who like my works and want to support me. My BIG Project is to make illustration books, FanArt books, Original Artbook, How to digital painting, and Visual Novel Games which I would like to put into IOS and Android platform. 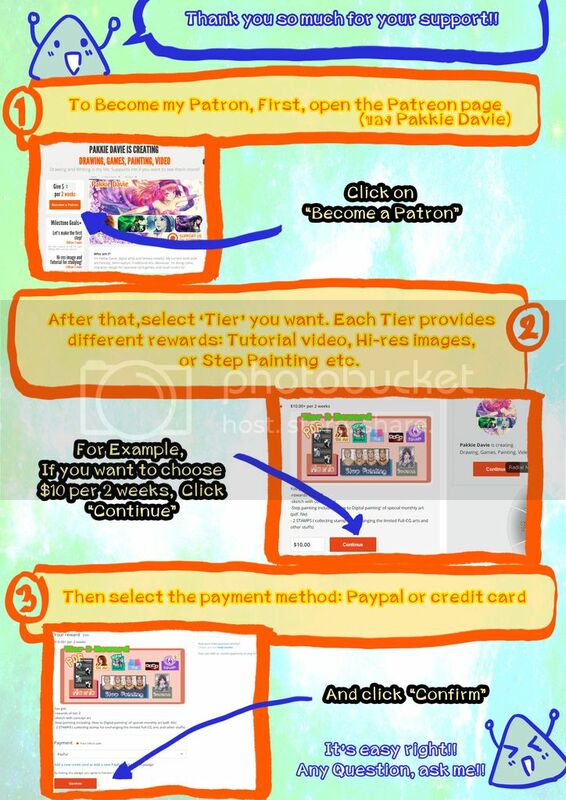 How to become my Patron! If you don't know how to pledge, click on the image below for more detail! -The video of my teaser works each month. 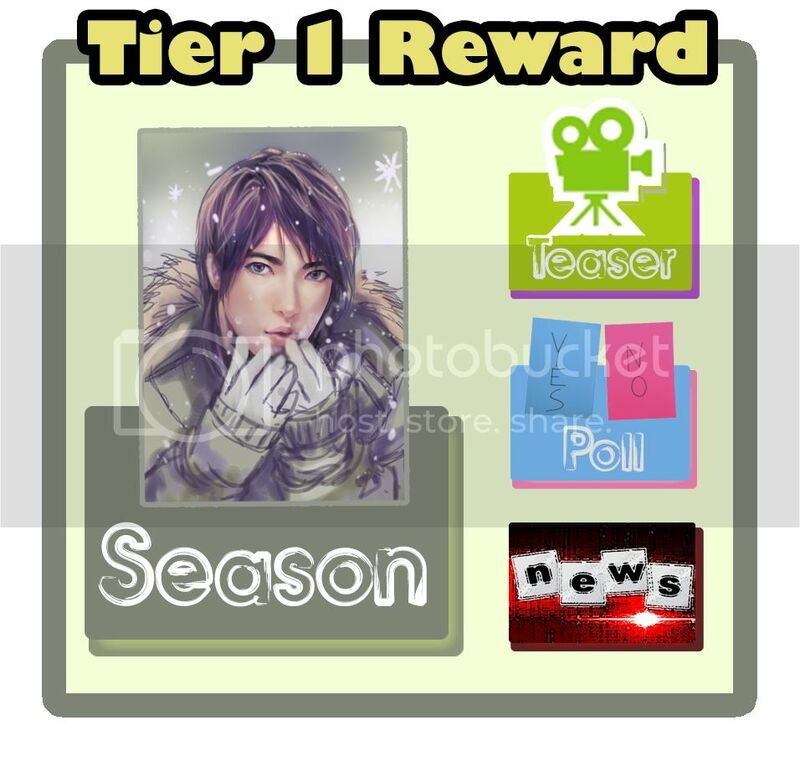 -Update news of next event and monthly limited art, so you can get free arts and free STAMPs!! 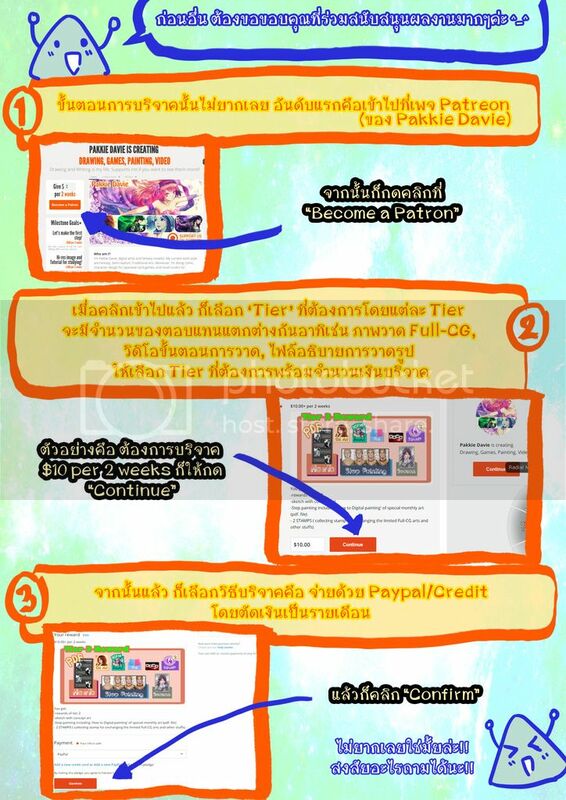 -You can get Free "limited Season art package". This includes special picture in Half body size with Concept in that Season. -The wallpaper calendar year which makes from those 12 limited arts, fitting in desktop and smartphone. -Your choice of one past monthly rewards. -New year's/Halloween's/Valentine's/Christmas' day card with my text and very SPECIAL hand-made art size A4,sending to your home directly. Get free a piece of Fan Art with 300dpi JPEG and free sketch.